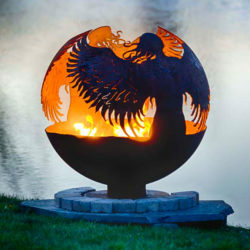 For those wanting to add a hot element to their outdoor living space, a fire pit is an excellent choice of décor that will add style and warmth to any outdoor hangout. We have already gone through the steps of starting a fire, and therefore starting the fun, in a fire pit. And while the experience of sitting by a fire with friends, family or a significant other is calming, precautions must always be taken whenever there’s fire involved. In this article, we want to teach you how to put out a fire pit that burns wood. 1. 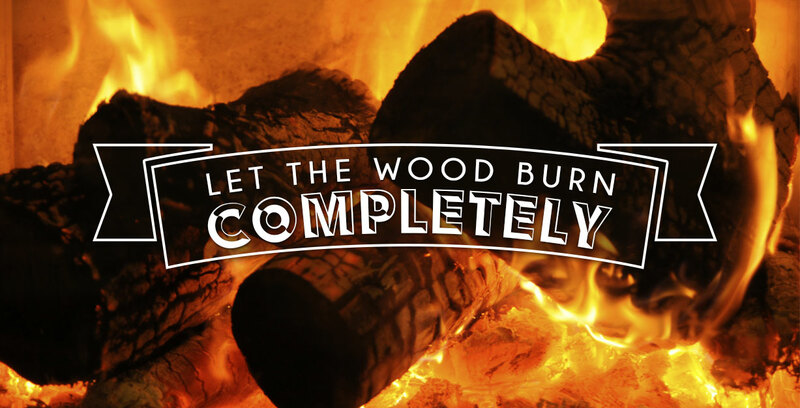 Let the Wood Burn Completely. It is highly recommended to let the wood burn down, and if possible, to ash completely. In order to ease this process, you can even put out the remaining chunks of wood using a shovel or a stick. 2. 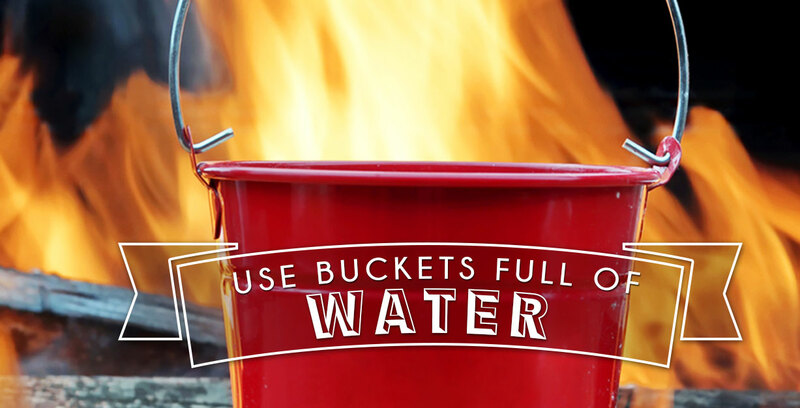 Use Buckets Full of Water. Start by carefully pouring each bucket of water on the ashes. You may hear some sizzling sounds from some of the ashes that are still ignited, which is normal. Remember to pour water on all of the ashes, not just the ones that are red. Pour until the sizzling sounds are completely silenced. 3. Grab a Shovel and Begin Stirring. With your shovel, stir all wet ashes of ember and remaining chunks of wood together. Make sure everything has been soaked by the water. 4. Check Your Fire Pit and Its Surroundings. Are there any wood or ashes that might have been blown away and out of the fire pit? Make sure that nothing on or around the fire pit is still ignited. Finally, do a temperature check on your fire pit to ensure it’s not generating more heat. 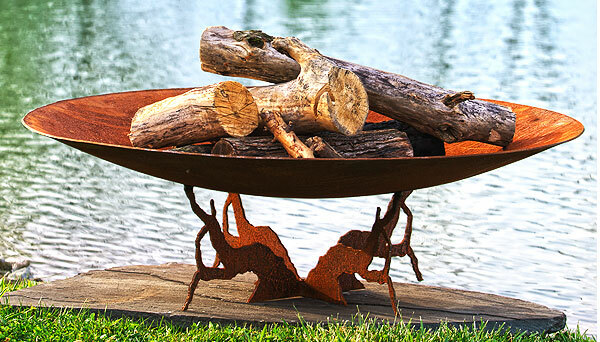 Have you ever used a fire pit? Share your experience with us in the comments below or on social media.